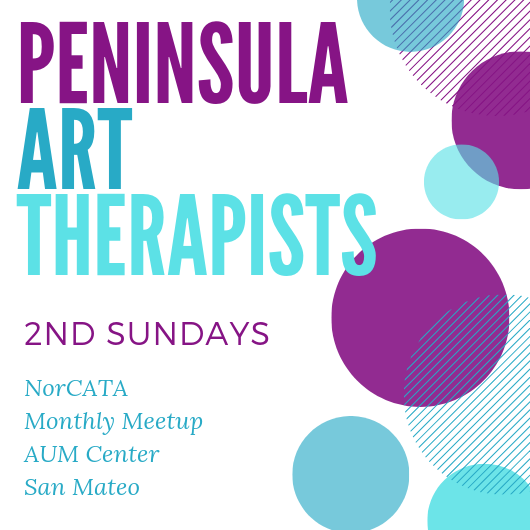 NorCATA offers events by and for the local art therapy community including quarterly workshops with low-cost CE hours available, regional art groups, community art or art therapy groups, and an annual business meeting (ABM) in late January. Please note that participation in teleconferences is for principals, regional representatives and invited guests. NOTICE REGARDING PHOTOGRAPHY OF EVENT When you attend NorCATA's workshops and conferences, you will be entering an area where photography may occur. 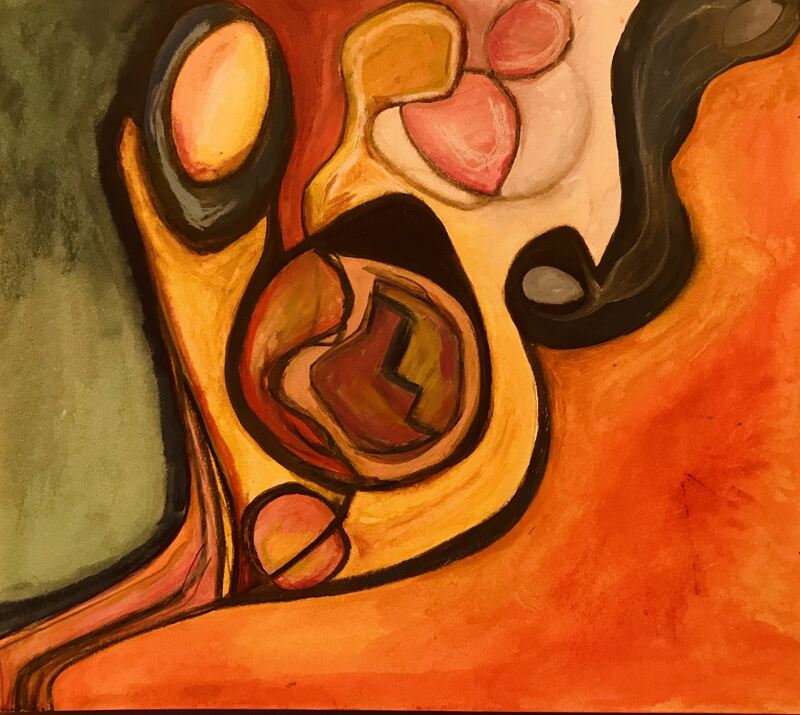 As such, you consent to photography, and its release, publication, exhibition, or reproduction to be used for promotional purposes, inclusion on websites and printed materials, and/or any other purpose by NorCATA. You release NorCATA, its organizers, employees, vendors, and each and all persons involved from any liability and waive all rights you may have to any claims for payment or royalties connected with the taking, and/or publication of photographs taken by NorCATA or the person or entity designated to do so by NorCATA. You have been fully informed of your consent, waiver of liability, and release before attending the event. Cancellation & Refund Policy in cases of non-attendance by the registrant. 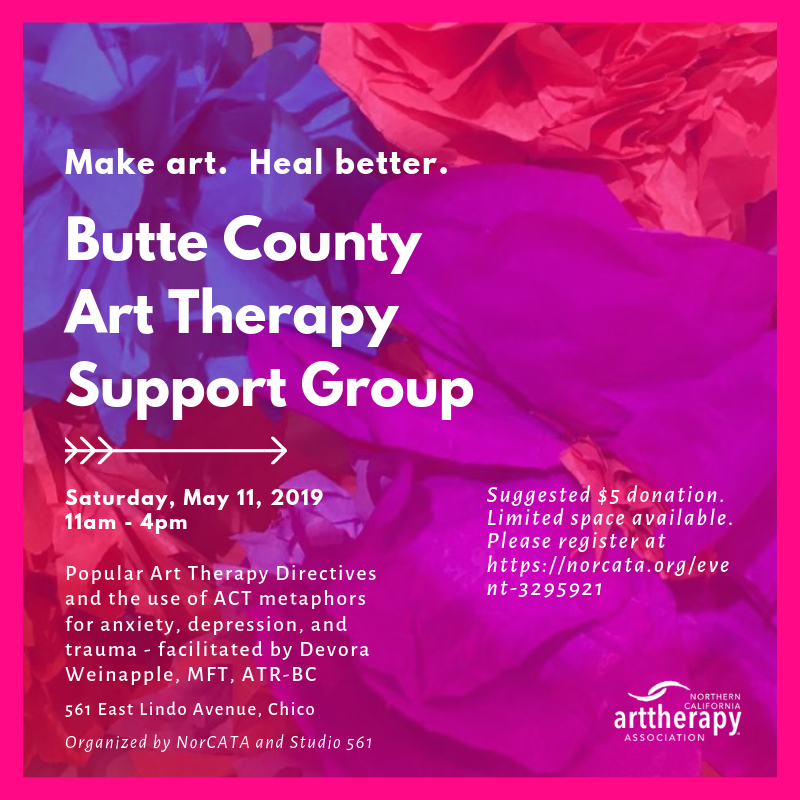 All workshops and conferences sponsored by NorCATA are accepted for continuing education by the Art Therapy Credentials Board (ATCB). NorCATA has been approved by the National Board for Certified Counselors (NBCC) as an Approved Continuing Education Provider (ACEP 6832). Programs that do not qualify for NBCC credit are clearly identified. NorCATA is solely responsible for all aspects of our programs. NorCATA has also been approved by the California Association for Marriage & Family Therapists (CAMFT) as an Approved Continuing Education Provider (CEPA 57985). All courses are approved for LMFTs, LCSWs, LPCCs and LEPs. Our suggested donation is $5 per session. Please feel free to donate as much or as little as you wish. Your assistance will allow us to meet our expenses for supplies so that we can offer these groups throughout the year. Please register to reserve a seat. If you have any questions about payments or refunds, please contact Cynthia. If you need to cancel, please let her know with enough notice so that someone else can have your space. And of course, we are grateful if you wish to donate without registering. Drop-in monthly meetup to create, process, reflect, network and MORE! Please register to reserve a seat. If you need to cancel, please let Cynthia know with enough notice so that someone else can have your space. Theme and facilitator to be determined.